Finding this pub can be difficult, but not impossible: take the B4098 signed Tamworth/Keresley at the Shepherd and Shepherdess pub (3m). Take the right fork for Keresley (approx 1m). Watery Lane is on the right with the Hare and Hounds on the left. If you come from the M6, leave the M6 at junction 3 and follow the A444 to Coventry, turn right at the roundabout, and go straight on at the traffic lights. The Hare and Hounds was originally a Public House in which the local landowners workforce would come in and spend "The Crofters Sixpence", a local coin only negotiable in the Hare and Hounds itself. The original bar was what is now the coal store. When the pub was a coaching inn during the last century it was a Smithy, we don't know where the local workers drank, perhaps in the pub itself which was known as the Hare and Hounds Hotel, the name still on the deeds to this day. The Pavilion was built as a bowls pavilion - hence the name, a bowling green being on the car park, as is now. This was built in the 1930's and saw the bombed out folk from around the city sleeping there during World War 2. These people would travel into the city in the day and would return at night to sleep dormitory style in the pavilion due to the blitz making the city too dangerous to live in. These people were known as "The Trekkies" - a far cry from the Star Trek followers of today. The Pavilion was host to lots of dances in the fifties and sixties when the local council gave into demand and laid on chartered double-decker buses for the crowds to get here from the city. They now cater for weddings, birthdays and a whole range of business functions and exhibitions throughout the year at a price that is way below the hotels in the area, yet supplying as good if not better facilities. The Pavilion is disabled friendly and the pub itself is fully accessible to people of all abilities. The Hare does food to an excellent standard throughout the year as per the menu, there is also a full range of other menus for functions in the Pavilion - served Monday-Friday 12-3pm and Sunday lunches 12-3pm. During the past 11 years a considerable amount of money has been spent on renovations and improvements to the pub and the Pavilion. The Hare stocks a comprehensive range of traditional ales at all times as well as the guest ales that they serve - "Over 220 different in 18 months". There is a garden to the rear of the pub, as well as the one at the front, that is safe and secure for the younger members of the family. Families are welcomed although children need to be kept under supervision. In the rear garden there is now a large aviary for customers to view various breeds of bird at close quarters. 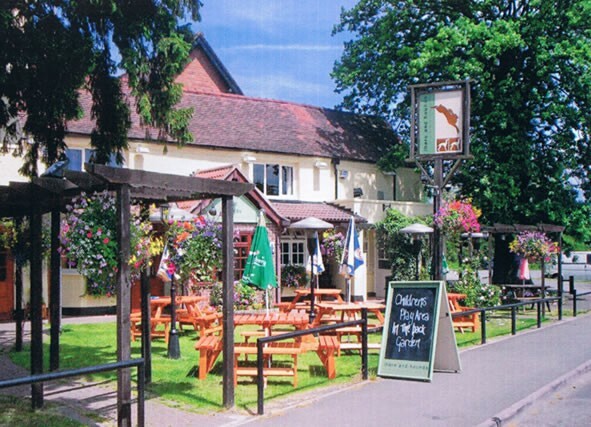 We had heard good things about the Hare and Hounds, Keresley, so we booked for a Saturday at 8pm. We arrived shortly before 8pm and were seated promptly and were told that a waitress would come and take our food and drink orders, which the very polite lady did. The restaurant was very busy at this point which we were used to as we dine very frequently. 40 minutes later we had still not received our starters and questioned the waitress, we were told again very politely that as it was a Saturday the food would take longer to arrive. We received our starters approx 10 minutes later, had some more drinks and awaited our main courses, and waited, and waited, we again questioned the wait which was this time directed at the female owner, we politely asked why it had taken another over 40 minutes for our mains to be served to which she abruptly replied ''if you don't like it you know where to go'' not really the reply my family or myself expected or deserved this made us all feel extremely angry and uncomfortable.